2015 Haile Fellows...Brad Cooper and Brad Schnittger! 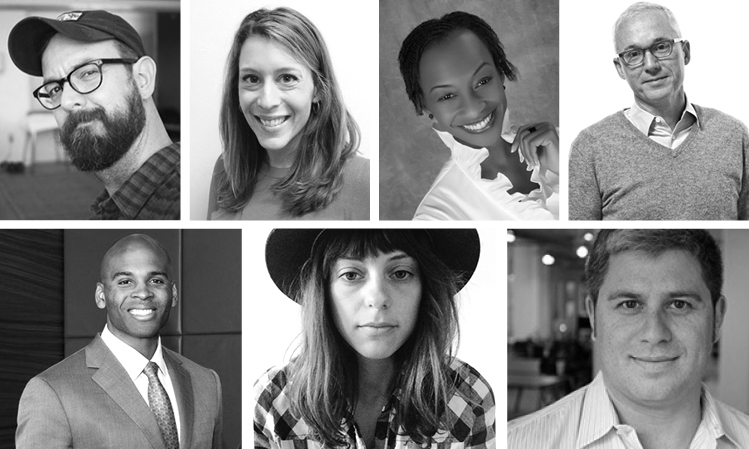 After weeks of deliberation from our team of external panelists, we’re proud to introduce our 2015 Haile Fellows. The applicant pool was rich with diverse ideas and thoughtful proposals; in the end the panel landed on two gentlemen named Brad. Ironic? Yes. Both applicants presented compelling projects that have the potential to impact Greater Cincinnati, and have the prior experience necessary to bring those ideas to fruition. Who: Brad Cooper believes architecture should be more than just a service. Born and raised in Cincinnati, Cooper has explored this notion through a number of distinct projects like LIVE MAKE, a design competition for an industrial arts center; and Place from Space, a place-making competition that transforms vacant lots into vibrant community spaces. What: Cooper’s proposal sits at the intersection of his two passions: architecture as a product and community engagement through architecture and design. He’s calling the project Start Small and plans to build two, 200 sq.ft. zero-net-waste tiny houses. Brad will engage neighborhood residents from the outset, allowing him to understand basic needs and requirements of tiny living for Cincinnati residents before beginning construction, thereby making finished homes more appealing to potential owners. When finished, Cooper’s homes will stand on concrete foundations and be fueled by solar panels, making them self-sustaining and long-term investments in the community. Why: While Cincinnati's median home sale prices have been on the rise , Greater Cincinnati's household median income has been stagnant for almost five years . Currently, almost a quarter of Greater Cincinnatians earn between $15,000–$35,000 annually. It's a real challenge for local developers to construct housing for this demographic without the tenant's rent being subsidized through government assistance (Section 8 vouchers) and/or receiving low-income housing tax credits. Cooper’s project, if successful, will allow people at every income level the chance to invest in their communities via home ownership. High home ownership rates positively affect neighborhoods, as residents feel more compelled to contribute to the future of their community. Who: Brad Schnittger is a co-founder of The All Night Party—a local music and design agency—as well as an acclaimed musician who has composed and licensed award-winning music for clients like First Financial Bank, Cincinnati Bell and Bunbury Music Festival. Additionally, Brad and his group are the only Cincinnati-based music company to ever host a showcase stage at SXSW. Aside from composing music, much of Brad's work is aimed at exploring new ways to deliver music. In fact, he once tried to turn music into a pizza topping. Mind-boggling, we know. What: Schnittger will spend 2015 developing MusicLi, a music publishing platform that will afford local musicians the opportunity to properly document, register, and publish their musical compositions to an online library, creating a two-sided marketplace for advertising agencies to license and purchase more Cincinnati music. Schnittger suggests that easy, legal access to Cincinnati’s musical talent is one of the biggest barriers preventing companies from licensing local music. His fellowship goal is simple: accelerate our Cincinnati-based musicians by providing a streamlined way for them to prepare their music for the licensing market. Why: Cincinnati has one of the most vibrant and diverse music scenes in the nation. However, many musicians often struggle to gain their foothold because so much of the marketing and advertising dollars directed at music licensing are outsourced to the coasts. Why? The path to ensuring music is available for licensing is often complicated, and few resources exist to assist musicians in this process. As such, many local artists forgo preparing their music for commercial use. A Cincinnati musician himself, Schnittger feels certain a music production library will provide a wealth of untapped opportunity to young musicians and could, in time, begin to attract creative talent from around the nation. We’re teeming with excitement over what our fellows will accomplish in 2015. But, before we begin imagining what’s to come, we want to take a moment to properly thank those who made awarding our fellows possible.